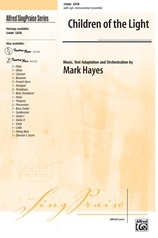 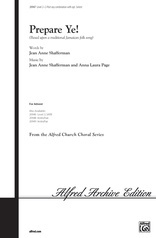 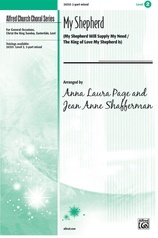 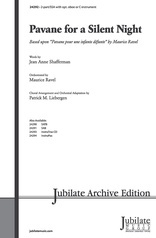 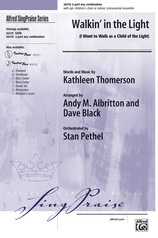 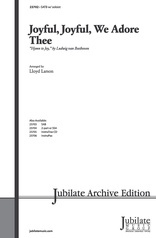 A choral fanfare with texts for both Christmas and Easter! 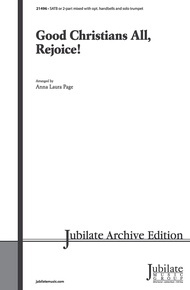 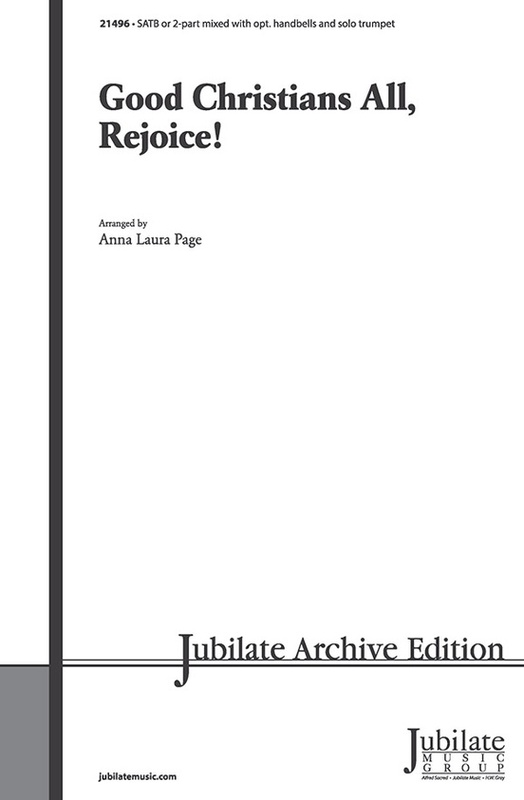 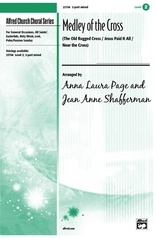 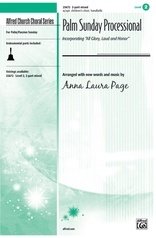 Anna Laura Page has adapted the traditional carol, Good Christians All, Rejoice and Sing, for seasonal worship. The flexible voicing encourages performance by SATB or 2-part mixed choirs of all sizes and ages-combine your adult and youth choirs! 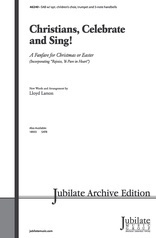 An easy, 6-note "ring-and-sing" handbell accompaniment and trumpet obbligato (opt., parts included) add to the fun! 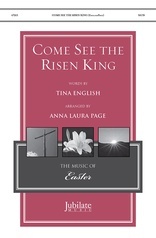 A great way to begin your Christmas or Easter services!